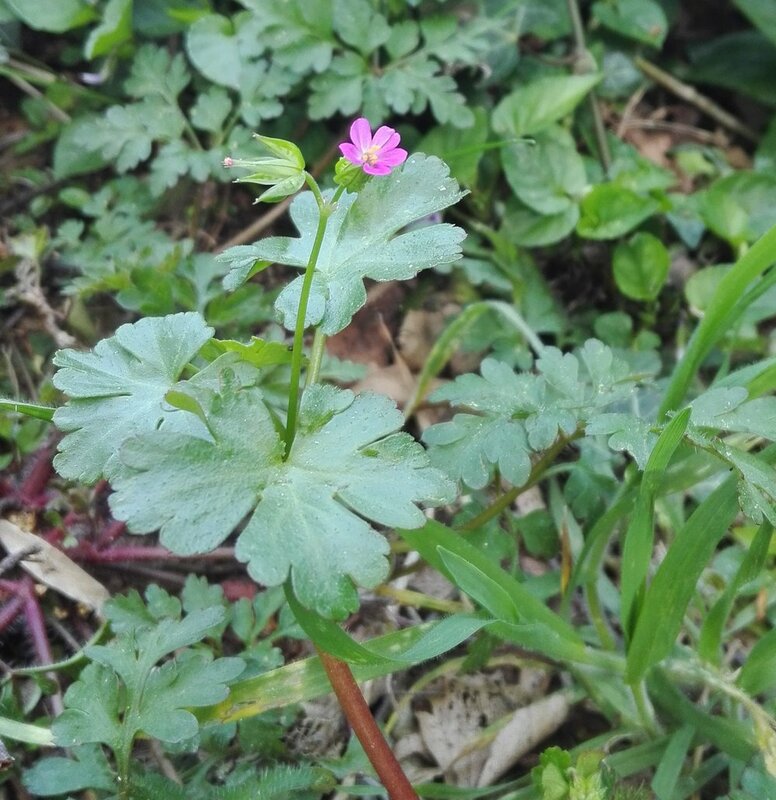 Two members of the geranium family growing like weeds in the garden. 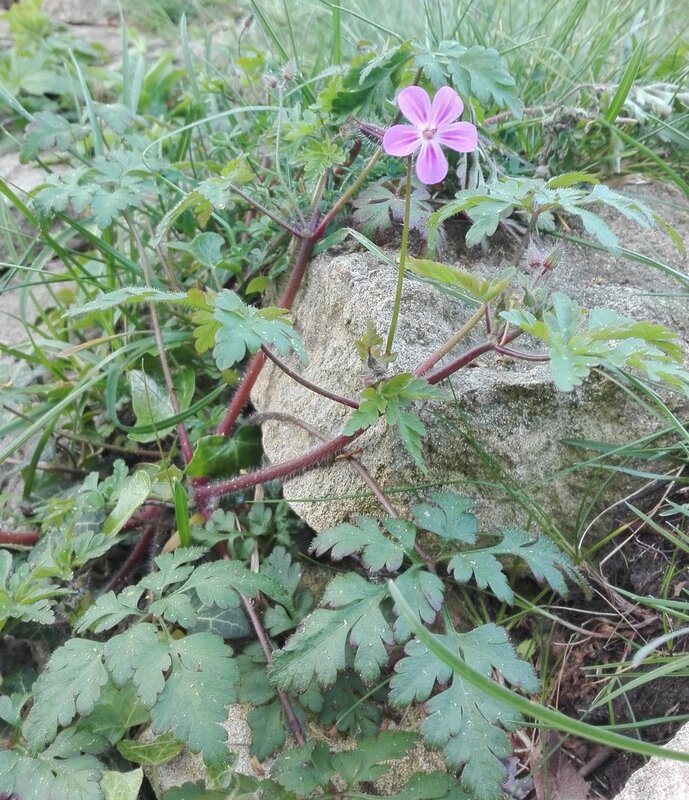 Herb Robert (Geranium robertianum, #22) grows in the cracks between paving slabs and rocks all around the garden, but this is first time I noticed the closely related Shining Cranesbill (Geranium lucidum, #466) with its smaller flowers and shiny, rounded leaves growing in overgrown gravel down by the shed. Quite a pretty little flower. I found this trio of new weeds around the garden this week. Hairy Bittercress (Cardamine hirsuta, #454), popping up between the paving slabs is an unassuming little weed with small white flowers and leaves shaped like watercress. The leaves are edible, adding - as per the name - a bitter taste to your salad. Cuckoo Flower (Cardamine pratensis, #453) also goes by the names of Lady’s Smock or Milkmaid. One of the main food-plants of the Orange-tip Butterfly, it is often plentiful in Spring in damp meadows, but not so widespread in my rather dry garden. 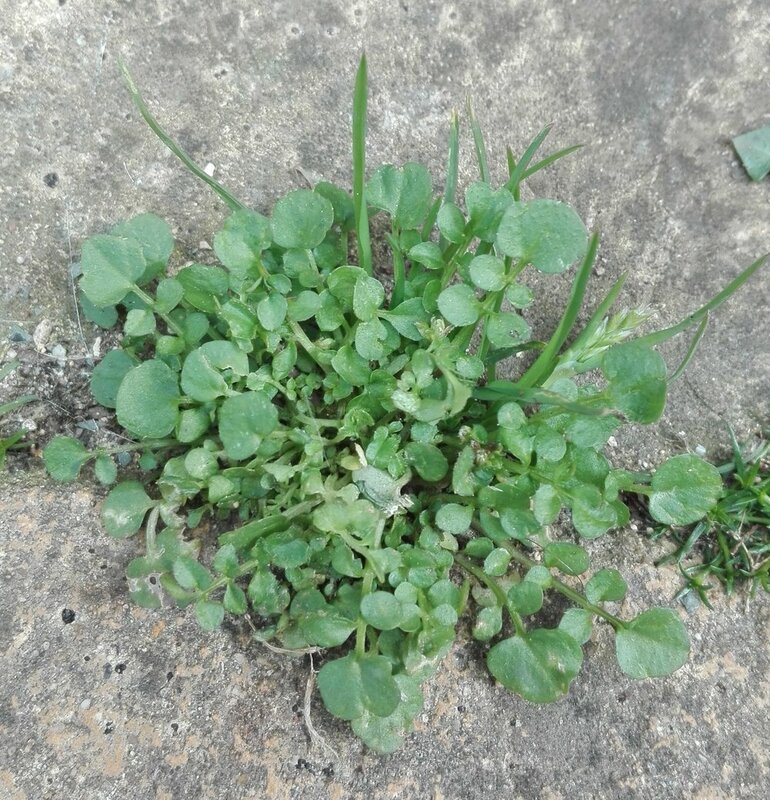 It’s closely related to the bittercress, both being members of the cabbage family, and is also edible. After flowering in spring it produces seeds then dies back until the next year. Ivy-leaved Speedwell (Veronica hederifolia, #455) is c common garden weed, originating from Eurasia and by now spread widely as an introduced species. It has a blue form and a white form, the latter being the one in my garden. Two new flowers this week, a quite late-flowering Great Mullein (#341) in one of the shadier spots in my garden, and a host of Michaelmas Daisies (#342), which grow like weeds everywhere. It would be good if these can entice out some pollinating insects, as the numbers of these have dropped right off due to late lack of flowers in the garden and summer coming to an end. These two common plants that crop up as garden weeds are both very poisonous. The red berries of Lords & Ladies add some nice late-summer colour in shady areas of the garden, but there's a good reason why they don't get eaten by the birds - they're very poisonous. Thankfully they are so unpleasant tasting that nobody would ever get to eat enough of them to have a dangerous dose. The white flowers, one of many different kinds of similar-looking umbellifer is called Fool's Parsley, as it looks superficially like parsley or chervil, but can be distinguished by the small spurs that hang down under the flowers and seed heads. Like many other umbelliferae, such as hemlock, it's pretty poisonous; though apparently it was also used in the past as a medicine for children's stomach aches - hopefully only in small doses!